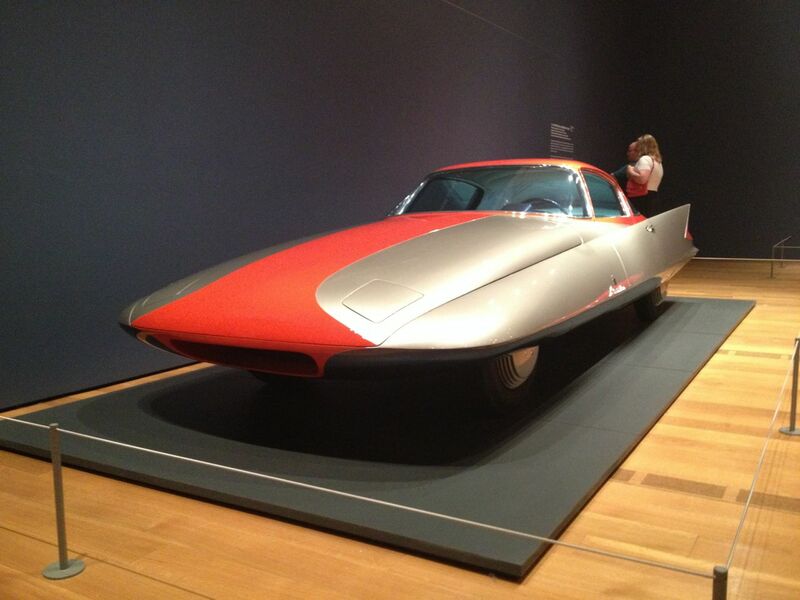 The very first time we saw the "Gilda" (the name most often used) was in a picture promoting the Dream Cars exhibit at the Atlanta High Museum of Art. After visiting the exhibit ourselves, we began digging into the details behind the cars on display. The result was a series of in depth articles covering mostly unknown facts and history associated with each of the vehicles. This one is our favorite. In person, the "Gilda" is absolutely fascinating, though considerably smaller that one might think based on photos alone. Not that the other cars in the exhibit were less intoxicating, but there was just "something" that set it apart from the others. We became somewhat infatuated with the design. One difficulty we encountered was trying to find out who or what organization owned the car and how we could gather the details. Long story short, through our relationship with David Burroughs (Garagistry Advisor) opened the door to a conference call with the current owner of the "Gilda" Scott Grundfor. It turned out to be quite an interesting long distance meeting. 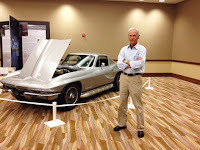 For those of you who don't know much about Grundfor, he is a long standing member of the Collector Car Community. 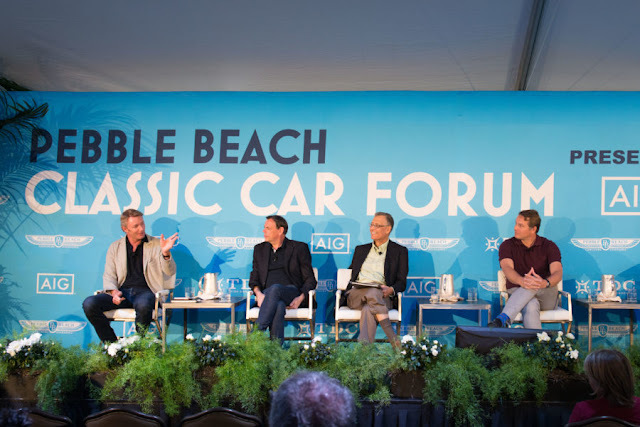 He is called upon to judge the finest examples of Classic automobiles at events such as the Pebble Beach Concouse de Elegance since 1989. His business, specializing in Classic Mercedes Benz is located in Arroyo Grande, CA. He is a master restoration expert, craftsman and owner of nearly a dozen concept cars. After introductions we asked Scott how he became interested in cars. His reply was familiar to most of today's Classic car owners and enthusiasts. He owes his lifetime appreciation and involvement to his Father and Grandfather. Grundfor has been fascinated by concept cars ever since his grandfather took him to the Pan-Pacific Auditorium to see the latest Motorama shows. As we began to discuss the "Gilda" we learned it was not the only concept car in his collection, although many are far more recent. One thing the "Gilda" had in common with most of the other concepts, it was never "completed". Rather it was a non-operational exercise in design. That's when we learned something else. We inquired what Scott's plans were for the other concepts and if he would convert them as he did the "Gilda" once the reached Classic age (25-30 years old). 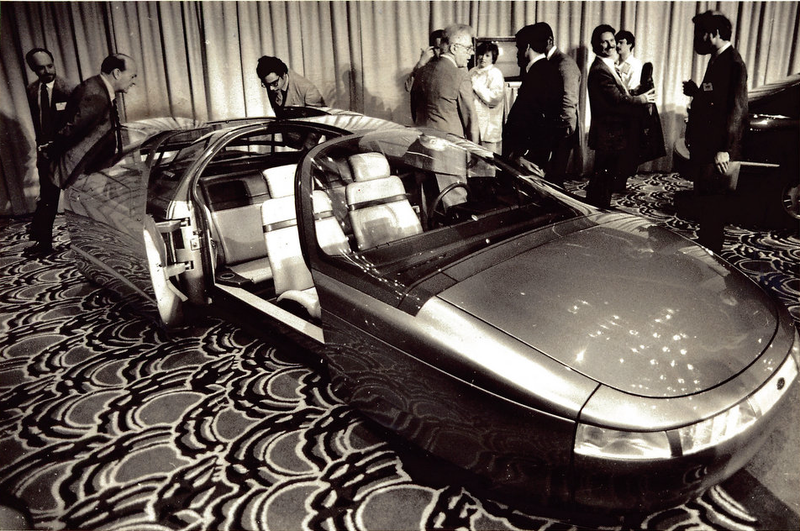 Scott advised that unlike the "Classic concepts" which also like the more modern versions could have either been fully operational vehicles or "empty shells", none of the newer versions can ever be made roadworthy or driven on public streets. "When you buy a modern concept car, you have to sign a enormous amount of documents agreeing to the manufacturer's legal terms and safety laws in effect at the time they were built. So sadly and regardless of age, they can never be converted." We asked why after knowing these restrictions, he has purchased so many. He believes if left in the wrong hands, they would likely end up as scrap, permanently erasing their part of automotive history. 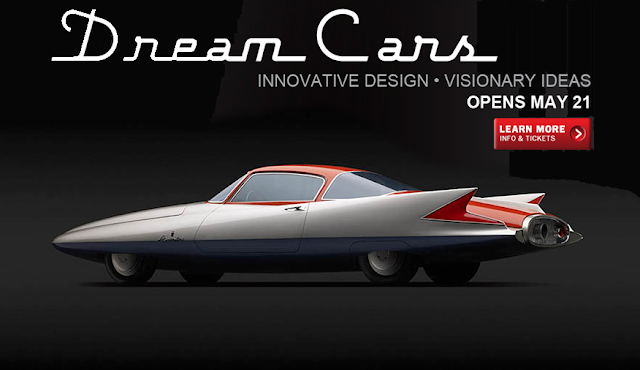 Officially named "Streamline X" the car was developed to prototype both a futuristic design and to test aerodynamic streamlining. As engineers began pressing the limits of then-current body designs pushed to their limits by high horsepower engines, a major flaw was uncovered. The cars were horribly unstable when subjected to crosswinds. 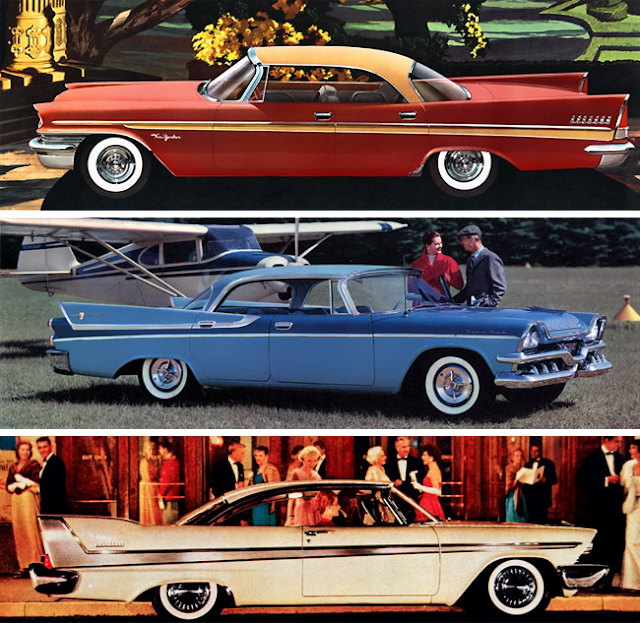 And while fins were all the rage in the '50's, virtually all were purely cosmetic. 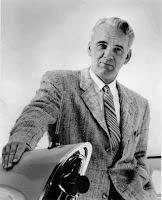 The task of developing a solution was handed to Chrysler's design chief, Virgil Exner (left), who commissioned Ghia’s technical director and chief-stylist Giovanni Savonuzzi to develop airflow models and a prototype for research in the wind tunnel at Politecnico di’Torino. 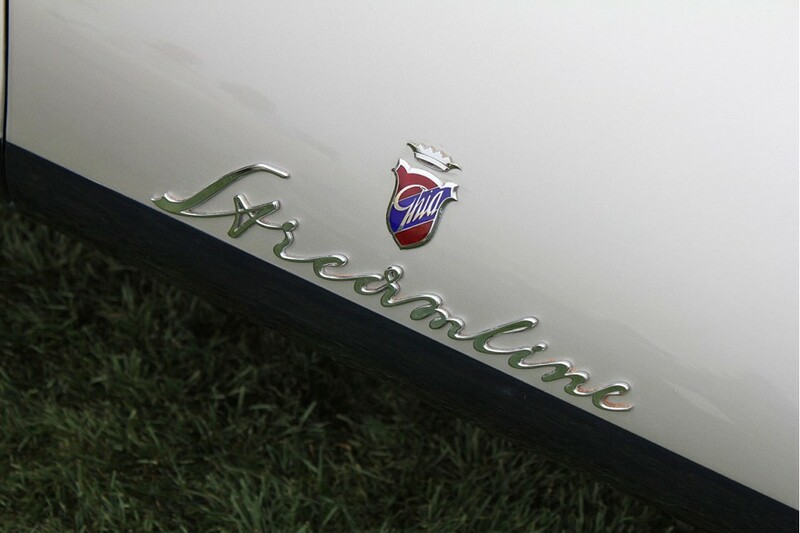 This might seem surprising at first, but Chrysler and Ghia had been involved in numerous joint projects for some time. Exner had discovered that Ghia’s workmanship was both better and cheaper than specialists at home, and the finished Gilda proved his theory. According to Grundfor, the beginning of this project was little more than a scale model sculpture on Exner's office. Savonuzzi (right) was impressed by the concept overall, which included the use of a turbine engine. But based on his experience conveyed the need to restyle the model to meet the project's need. Research led to a purer wedge with rounded front and sides that curved under the body, while the fins ran the length of the sleek, smooth profile. 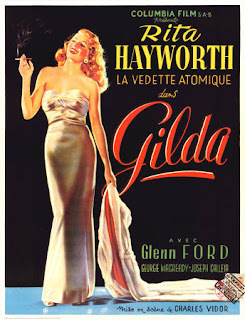 After finalizing the body sketch (below), Savonuzzi christened the design "Gilda" (note the name lower RH in the sketch) after the movie starring Rita Hayworth, an actress for which he displayed a great fondness. The name stuck. Upon Exner's approval of the design, a scale model was produced for wind tunnel testing. The results were beyond expectations, reaching a drag coefficient of 0.170 and desired stability in crosswinds. 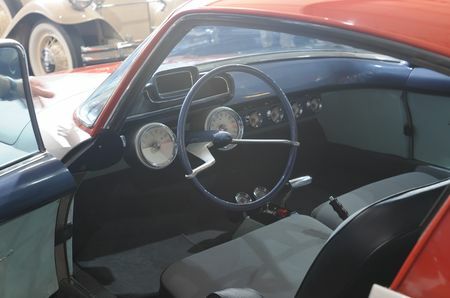 With these details, Exner ordered a full scale version to be built by Ghia. 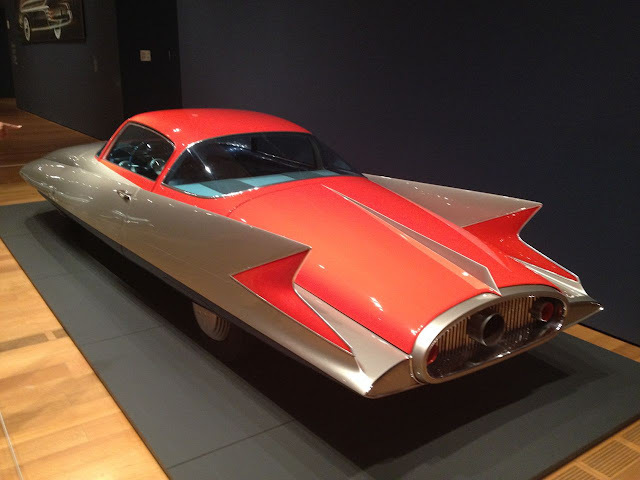 Taking a small side step, the "Gilda Streamline X" gave birth to what would become the "Dodge Dart". No, not the "fugly" one most are familiar with, another fully operational concept to be unveiled a year later in 1956. The "Dart" took many of its styling clues directly from the "Gilda" adding additional size and a fully retractable hardtop. It's also interesting to note the "functional fin" incorporated into the "Gilda" made its way to production vehicles in 1957. Exner noted the design exerted a stabilizing force increasing road holding capabilities in crosswinds by up to 20% at normal highway speeds. 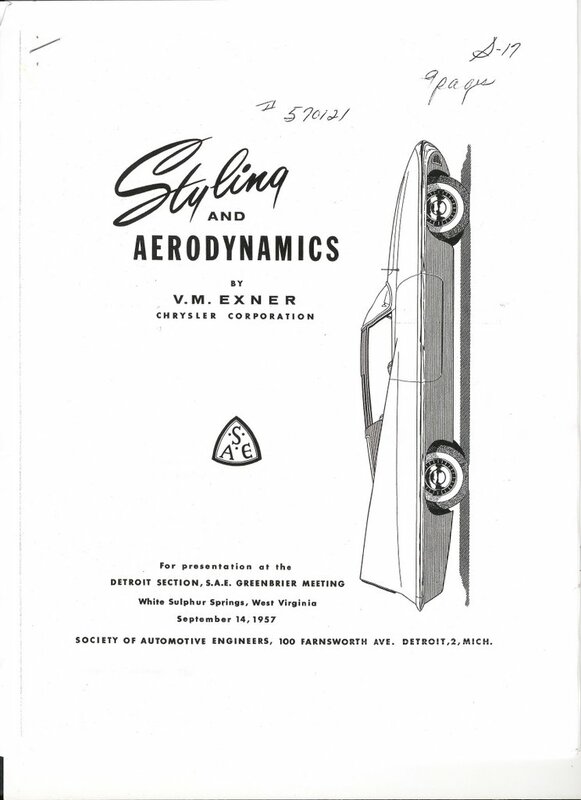 Gurndfor recalled Exner’s son, Virgil Exner Jr, telling him that despite Exner's paper published in 1957 explaining the aerodynamic advantages of tail fins, there’s still some debate about whether the fins worked or were really just a styling exercise. Exner's Tailfins - Function or Fashion? Although it was originally planned for the "Gilda" to be fully functional and powered by a turbine, in the end the completed project included steering but was without a full suspension or power plant and drivetrain. Built around a tubular chassis, the show car featured independent front suspension and a solid rear axle. The cabin had a separate platform, while its underbelly completed the full-body wrap for smoother airflow. The interior was spartan by all measures of the day with seats that looked like fabric covered fighter plane seats. According to Grundfor, there is no documentation covering a decision to develop the concept as a "push car", but it would not be difficult to imagine production timelines, show schedules and plans for the Dodge Dart were contributing factors. The construction of the "Gilda" was a enormously difficult project by today's standards. After building the basic chassis (with front control arms, coil springs and live axle mounted semi-rigidly to the tubular chassis) a set of wooden "bucks" were hand made by skilled craftspeople from the furniture industry. The bucks, which looked very much like a wooden skeleton, were used as a guide to build the body panels and each panel was pounded out and rolled by hand. After some research, and according to Tom Tjaarda, who worked at Ghia in 1958, there was a person in the design department would warn others about the perils of relationships with woman, specifically saying “First they are at your side and next you have nothing”. That person was Giuseppi Nocolotti who Tjaarda had become good friends with. According to Tjaarda, in 1955, Nicolotti was everywhere in the Ghia factory. He worked on the wooden bucks and also had a hand in the prototype making phase. 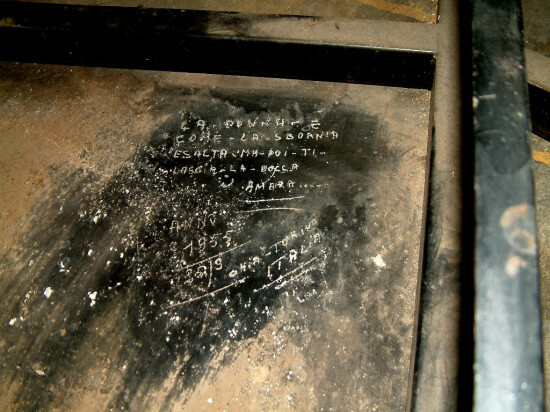 And while no one signed the poem nor is there any hard evidence to the author, legend has it the poet's name was indeed Giuseppi Nocolotti. The non-running, fully trimmed "Gilda" was discussed as a centerpiece of the show and a styling breakthrough. 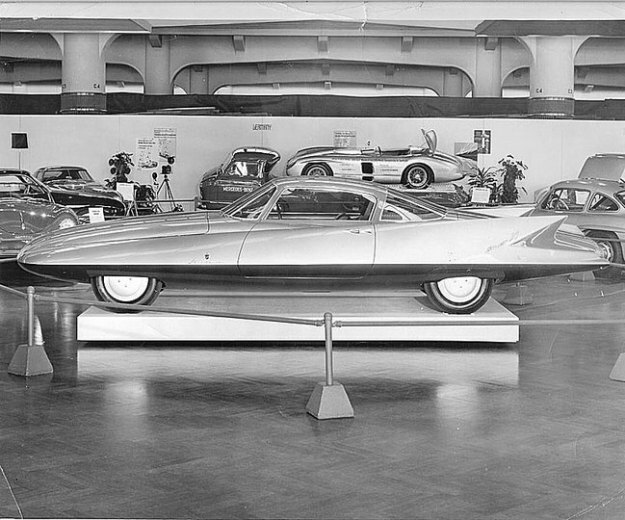 After the show ended, the car was shipped to various auto shows before returning to the US where it was shown at the Henry Ford Museum’s Sports Cars In Review Exhibit in 1956 and the 1957 NY Auto Show. After the NY show it was returned to the Henry Ford Museum where, according to Grundfor it sat for 15 years, most of that time covered up in a warehouse with some planes. In 1969, it was purchased as an addition to Harraha's Reno-based Auto Collection before again being sold to the Blackhawk Museum in 1985. According to Grundfor, some 20 years later in 2004, Rob Meyers of RM Auctions approached him with the opportunity to purchase the "Gilda". Needless to say and thankfully, he did. In Part Two - Completing the Project - "You inherited the Mona Lisa, don’t bugger it up"
If you haven't seen the accompanying article connecting Rita Hayworth to the "Gilda", here's the link.